I couldn't wait for the football season to start at the end of August and just like that, it's over. For me, it began at a dusty field in Georgetown where The Model School for the Deaf played Maret. 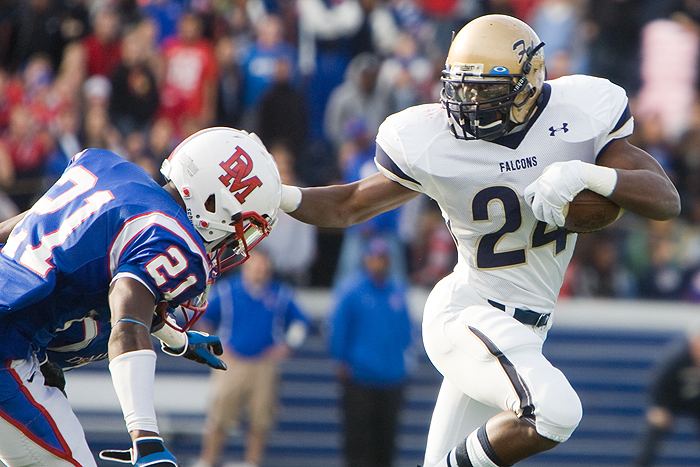 It ended in Annapolis at Navy's Stadium where Good Counsel finally beat DeMatha. I was able to squeeze in 12 games this season. It should have been 13, but since Coolidge isn't playing in the Turkey Bowl on Thanksgiving Day, I'll be in New Hampshire. For the past 5 years, Good Counsel football has run into the buzz saw that is DeMatha football in the WCAC championship. For the past 5 years, Good Counsel has gone back to Olney, MD without a victory. 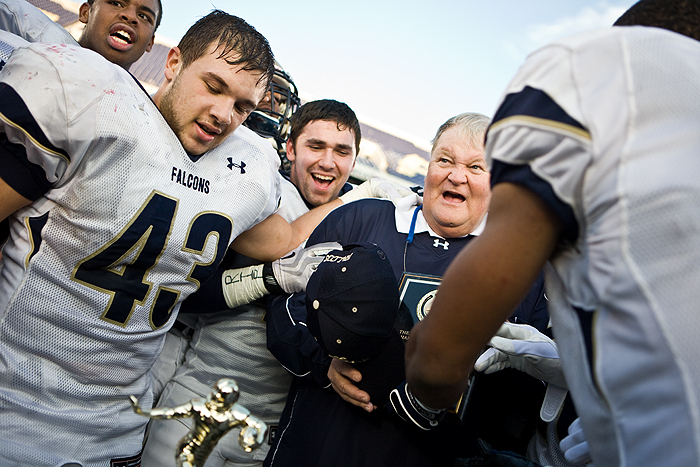 This year, my first year shooting the WCAC championship, Good Counsel beats the odds. Read about it here. It was a emotional game for both sides and I was able to get some pretty good reactions. Shout out to Louis Young who had two huge interceptions and holds the trophy below.